Though marketing has evolved quite a bit in recent years, one thing has stayed constant in marketing. That one thing is relationships. There are countless benefits of relationship marketing in today’s business world. In many industries, it is imperative that you foster great relationships with your customers. If you fail to treat your customers well, your business may suffer. 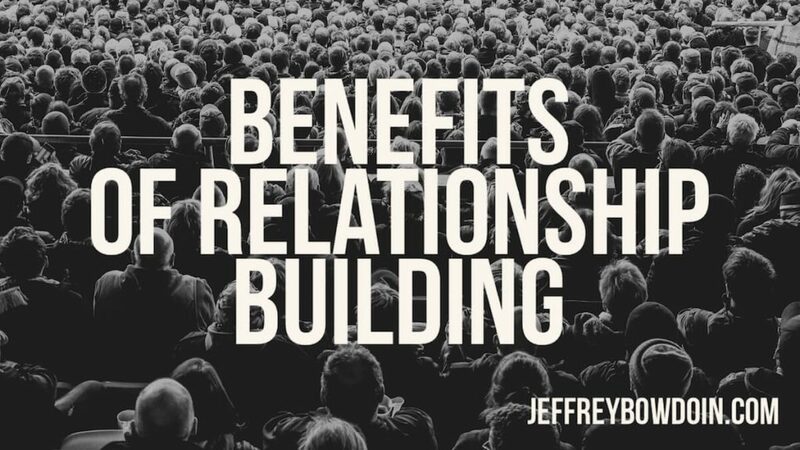 I placed all the benefits of relationship marketing into four categories. They are customer loyalty, word of mouth, profitability, and business development and innovation. Look at any majorly successful business and what do they all have in common? Take a look at Apple or Starbucks. These are two companies that have done a fantastic job at building customer loyalty, among other things. Customer loyalty is a critical part of success in business. When you have a great product and mix it with relationship building, there is something magical that happens. The customer ends up loving you and your product. When customers have this level of loyalty, it sets a great foundation for your ongoing success. Customers are more willing to forgive negative experiences. The key here is being able to be proactive and address customer issues well. If you are on top of it (social media listening, helping the customers, excellent customer service), you can mitigate any issues that customers will have. There is a local, privately owned coffee shop next to my house. They make some incredibly delicious coffee and are well known for it. Even though I love Starbucks, this place blows Starbucks coffee out of the water (especially my favorite – an iced white mocha). Today, I saw a sign stating that the rising cost of business had caused them to raise prices. It was a sincere, apologetic letter to the customers. Below the typed letter, many people had signed this piece of paper, giving encouragement and support. Many commented that they would be happy to pay the increased price. This shows the power of customer loyalty. You know there is customer loyalty if you can raise your prices with complete acceptance and encouragement. This is what you want. I have also seen the opposite. I remember seeing a software company that raised their prices and they did it without any finesse. Everyone was outraged at the cost increase and flocked to competitors. They lacked customer loyalty. I’ve also seen instances where a price increase caused a decrease in customer loyalty. Whether you have real customer loyalty or not, you still always need to be careful with a price change, as it is a risk. When you have customer loyalty, it is more likely that your customers will avoid buying from your competitors. There is typically an inverse relationship between customer loyalty and the purchase of competitor’s products. When you foster healthy relationships, you are more likely to have customers return and buy from you again. Willing to buy other products you offer: Through relationship building, it leads to purchases of other products you offer. Customer loyalty not only encourages repeat buyers but also the adoption of other products you offer! Some may think that in this day of the internet age, that word of mouth is not as important. The truth is, it is as relevant today as it was 50 years ago. The only difference is that word of mouth in the age of technology has a far greater impact. Consumers can connect to one another much easier on social media and review outlets.When you offer great products, good customer experience and build relationships, it’s a win-win. Your customers will help you grow through word of mouth. Building relationships with customers create real brand ambassadors. These are clients who are so in love with your company that they turn into raving fans. These people can help spread a positive image of your business. This is just another offshoot of word-of-mouth marketing. When you have a good relationship with your clients, they are more likely to refer you to other businesses/ customers. One of the best ways to make your company better is to listen to your customers! If you have a good relationship with them, they are more likely to offer constructive feedback for you. If you have a good relationship with your customers, and you encourage them to submit ideas, you can get some great crowdsourced innovation. Some companies that do this are Starbucks and Coca-Cola. All the above benefits of relationship marketing all come down to one thing – profit. They all have an effect on your bottom line. The customer lifetime value is how much your customer is worth over time. Meaning if they continually buy from you, they are worth more than someone that only makes one purchase. Since companies will use this as a metric in deciding how much to pay for marketing efforts, it makes sense to invest in customer relationship building. You can increase your return on investment if you increase your relationship marketing efforts. The reason is that it amplifies all your other marketing efforts. Relationships have direct and indirect benefits. Because of this, it can help you gain a higher ROI on paid ads for example. If you build relationships well, and your competitors fail in their relationship marketing, you will have an incredible competitive advantage. Relationship marketing takes some work and resources, but it is typically worth it over the long haul.